Ultimately, the Huskies couldn’t get the breakthrough they’ve been craving against an elite opponent, not quite, and so what could have been an afternoon to savor become another painful search for answers. ATLANTA – The Huskies got the ball back with six minutes and 15 seconds on the clock, 75 yards in front of them, and all the redemption they could have wanted sitting right there for the taking. After all the angst of a nightmare start, after all the opportunities that had slipped so agonizingly away in the red zone, after all the mistakes that would haunt their detail-obsessed head coach, Washington could still make it all right. They could do that with one drive toward glory, toward face-saving, toward reputation-making, whatever narrative you cared to choose. The possession was a microcosm of the game, with the Huskies teasing and toying and raising hopes, only to have it abruptly fizzle in the end. Ultimately, the Huskies couldn’t get the breakthrough they’ve been craving against an elite opponent, not quite, and so what could have been an afternoon to savor become another painful search for answers. Oh, you could say that the Huskies, in their 21-16 loss to Auburn at Mercedes-Benz Stadium, showed that they could go toe-to-toe with a rugged SEC foe. You could say that it was a case of self-inflicted mistakes rather than being overmatched. You could praise their fight and their will, as disconsolate players and coaches did. You could call it a “good loss,” the most straw-grasping of sporting oxymorons. You could say all that, but the Huskies needed to find a way to move beyond platitudes, to be talking afterward about the plays they made rather than the ones they should and could have made. After losses to Alabama in the national semifinals in 2016 and to Penn State last year in the Fiesta Bowl, Browning was searching for a signature win outside the Pac-12. And after Auburn scored a touchdown with 6:15 to play to turn Washington’s 16-15 lead into a 21-16 disadvantage, it was there for the him and the Huskies. 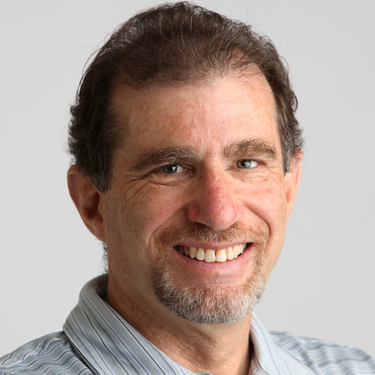 On third-and-three, Browning hit Andre Baccellia for 19 yards. On third-and-11, he scrambled for 13 yards to Auburn’s 37. It seemed to be happening, until it wasn’t. There was a pass that slipped out of the grasp of Aaron Fuller, who had played a brilliant game. There was a loss of 3 yards by Myles Gaskin, who had become the Huskies’ all-time leading rusher earlier in the game. And then, excruciatingly, there were two ferocious pass rushes by Auburn in which guys nicknamed Big Kat and Smoke threw down Browning for sacks that smothered the Huskies’ last gasp. Browning certainly had his stellar moments in the game, especially when he engineered a four-play, 75-yard touchdown drive just before halftime, all through the air. Pound’s spectacular one-handed TD grab energized the Huskies. 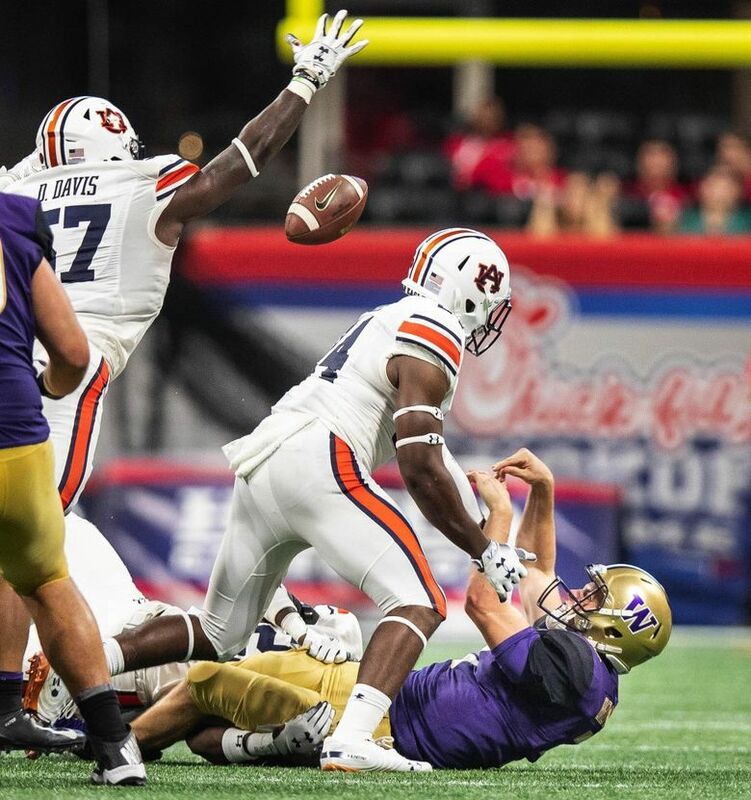 There was the extremely costly fumble by Browning, when Auburn blew up an option pitch intended for Salvon Ahmed with the Huskies at the Tiger 3 and driving toward a touchdown in the third quarter. Browning also lamented taking a sack on third-and-14 on the final drive that put them in an untenable situation. Those two turnovers were two more than Auburn had in the game. “Just trying to make too much happen, I think,’’ Browning said. In the end, the Huskies went across the country, without their All-American tackle Trey Adams, and put themselves in position to do just that. It wasn’t a case of being overmatched, though Auburn was as formidable as advertised; it was a case of, in Petersen’s summation, not taking care of details. In many ways, that made the outcome even more frustrating. “A lot of people said the Pac-12 is weaker than the SEC or whatever they want to say,’’ Pounds said. “I think we came out and gave them a good game, I think we had them on their heels. They barely got the best of us, but we’ll be back. That has become the Huskies’ eternal lament on the biggest stage.